German tour operators, travel agents and journalists are getting ready to come to Greece and become acquainted with Athens and Attica, the host destination this year for the annual workshop of FVW, Germany’s leading trade magazine for tourism and business travel. The “FVW workshop Athens-Attica 2019” will be held at the Wyndham Grand Athens, during March 27-31, by FVW, the Hellenic Chamber of Hotels and the Region of Attica. The event will take place under the support of the Greek National Tourism Organization (GNTO). 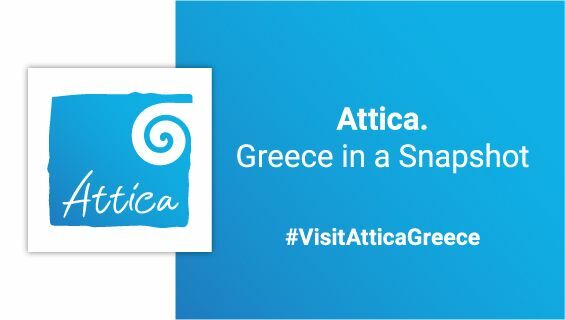 According to the region’s Executive Regional Councilor for Tourism Promotion, Eleni Dimopoulou, FVW’s workshop is a significant event that is expected to help strengthen Attica’s position in the German market and further introduce its tourist offerings to German holidaymakers. 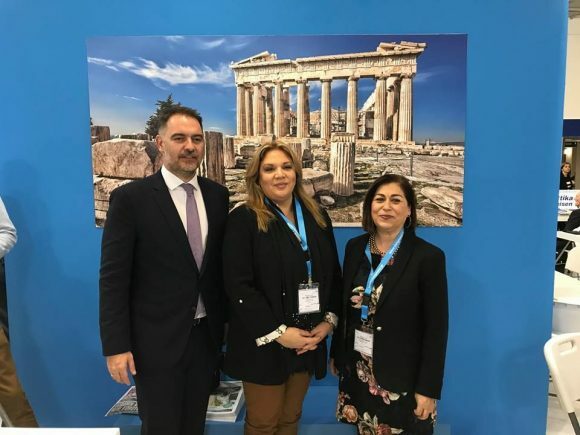 Hellenic Chamber of Hotels President Alexandros Vassilikos with the Region of Attica’s Head of Directorate of Tourism, Athina Kolyva and Executive Regional Councilor for Tourism Promotion, Eleni Dimopoulou, at the ITB Berlin 2019 trade show. “This event comes as an addition to the actions we have launched in the last three years to boost our presence in the German market… We aim to showcase the multi-dimensional character of Attica and promote it as a number of tourism destinations that are ideal for short vacations throughout the year,” Dimopoulou told GTP Headlines on the sidelines of the ITB Berlin 2019 expo. 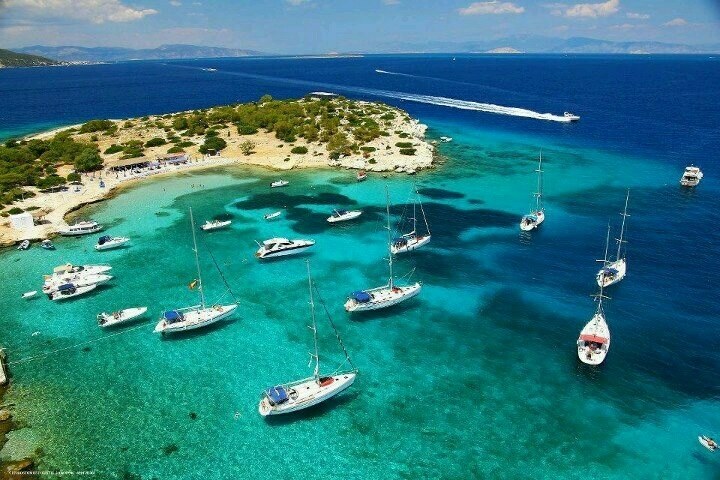 Attica includes the entire metropolitan area of Athens, the cities of Elefsina, Megara, Lavrion and Marathon, as well as the islands of the Argosaronic Gulf. Citing INSETE figures, Dimopoulou underlined that Athens is becoming less of a stopover destination for the Germans as they are now residing longer in the Greek capital than they were in the past and explore beyond the center of Athens. “The average length of stay of tourists in Athens-Attica is 5,7 days, up from 3,4 days in 2014… This is a very encouraging figure for us,” she said. “After they see the great monuments located in the center of Athens, they opt to visit places that are of particular interest to them, such as the so-called Attica Riviera, the Argosaronicc Islands, Elefsina, Marathon and of course Piraeus,” Dimopoulou added. The upcoming “FVW workshop Athens-Attica 2019” will include a congress with presentations on the rich cultural past of the Greek capital and is surrounding area, as well as its hidden treasures. “Our German guests will learn of Athens-Attica culture, tourism infrastructure, entertainment, shopping, architecture, gastronomy, wine routes, history, philosophy, myths and the nearby islands,” she said. The event will also include a familiarization trip with tours to the city’s classic and modern sights and monuments, as well as a one-day cruise to the nearby islands. The 2019 FVW workshop will be coordinated by FVW’s editor-in-chief, Klaus Hildebrandt.